It’s a question I hear all the time from beginner lifters, be it barbell or kettlebell fans. It’s a question that I dread, because they are not going to like the answer. Before I do answer, I ask the following two questions: First, how much do you weigh, and second, how much do you squat? If they aren’t close to a 1.5x/2x bodyweight squat (women/men, respectively), I tell them to forego knee sleeves for training until they can get their squat to this magic level. Until an athlete can get their squat to 1.5xBW/2xBW, that tells me that they haven’t spent enough time under the bar yet. They haven’t carved out their time in the rack—time spent grinding and struggling with the weight. Time that their nervous system needs to become acclimated with the movement. How did using knee sleeves get so popular? I first started competing in powerlifting in 1987, and back then you either wore nothing on your knees, or you wore knee wraps as you got closer to a meet (usually 2-4 weeks out from a competition). It was around that time that strongman competitions started to get popular, and they were allowed to wear the various styles of sleeves (knee, elbow, etc.). Fast forward to the mid-2000’s when raw powerlifting started to take off. It was decided that one of the pieces of equipment that the athlete was permitted to wear was knee sleeves. From this point forward, everyone—young and old, their dog and kitten, and even non-competitors—has been wearing knee sleeves while squatting. The typical comment is it helps to protect their knee, keeps it warm, makes it feel better, etc. Once an athlete has met the squat benchmark above, they are usually ready to add supportive gear if they wish to. However, be very judicious when doing this. Only add the sleeves when going heavy—not for lighter sets. If you decide that you wish to add them in to your training programs, I would suggest adding them only when you are go-ing over 90% 1RM. 1. Psychological: When over the 90% 1RM number, there is a certain “things are getting serious” thought process that occurs. Also, as the weight gets heavier, and the athlete starts using the knee sleeves, they know that there will be some increased support and this in turn will help them mentally. It’s a confidence boost. 2. Physical: Training with knee sleeves above 90% 1RM will help the athlete’s connective tissues fully acclimate to the stress placed on them when training below 90%. It’s better than the body being used to having that external support all the time. Very much like wearing a belt all the time—you shouldn’t do that, either. Now let’s say that you are one of those lifters who has been wearing knee sleeves since you started squatting and for all weights lifted during a training session. How do you train yourself to remove them from your training diet until you are over the 90% 1RM level? Well, you could just take them off, zip them in a side pocket of your training bag and don’t take them out again until you’re there. It will take some real psychological strength to not grab them when you get nervous or if the weight “feels” heavy. If you can do it, more power to you. If not, the following plan B will work as well. Assume a 1RM of 400 pounds. 90% of this is 360. So any weight at or above 360, you can use the knee sleeves, if you wish, with my blessing. But in this example you have been using them for all your weights, so my suggestion to slowly get you used to squatting without them is below. This is a 6-week simple linear progression cycle repeated for 3 consecutive cycles. This is also assuming that you will get stronger as each cycle progresses, thus further negating the need for the knee sleeves. Note: # = wear knee sleeves. If you wish, you make take a Week 7 passive deload, with no training in the gym after Training Cycles 1 and 2. Mobility and light kettlebell movements are enough for this deload week. When you look at the above cycles, you will see that in Cycle 1, the athlete was wearing their knee sleeves for all 6 weeks. By Cycle 3, they were only worn for those reps above 90% 1RM. Also to note is that wearing the knee sleeves properly will give you a 20-30lb. boost with the weight that you are lifting. If you find that your numbers are higher or lower than the 20-30lb boost, adjust the numbers given in the chart above. Now that you are fully acclimated, it is time to squat. And squat some more. 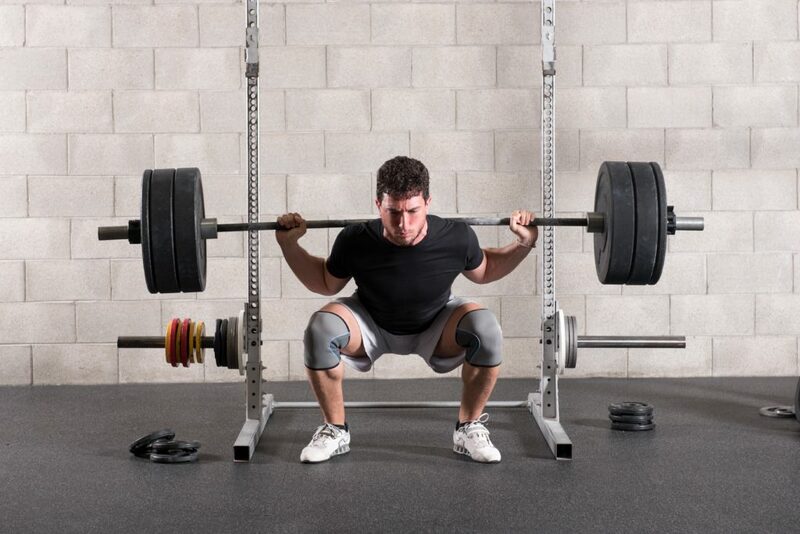 As the saying goes, “perfect practice makes perfect.” The more time that you spend squatting without the knee sleeves, the better the effect that you will receive when you do put them on. Now why is the 1.5x/2x bodyweight number the magic one? Why not something lower? There are several reasons. First, by the time that you get to this number, it means that you have spent some considerable time squatting, both in reps and time. You know a thing or two about how to do it. Adding the knee sleeves at this time would be prudent when you go above 90% 1RM. Second, you have sufficiently strengthened your connective tissues enough that when you do add the knee sleeves, you should be able to add to their strength, not detract from it. Third, you will note that you have a considerable greater number of hair follicles that are still attached to you. I remember seeing on Instagram recently this woman who was squatting 160lbs, and weighing only 130lbs. Not bad, but here is the thing: she had on lifting shoes, heavy duty knee sleeves, a thick belt and elbow sleeves for a set of 3 reps. I had to replay the video again to make sure I saw what I saw. Now first of all, I want to congratulate her for barbell squatting more than her bodyweight for reps. However, she shouldn’t be using any of the equipment except maybe the shoes and possibly wrist wraps. That’s it. She needs to follow the above example and get strong. Really strong, naturally, before adding the extra equipment. I will end this on this note: As has been said several times here at StrongFirst, to get strong, you must lift. Bodyweight, kettlebell and barbell. 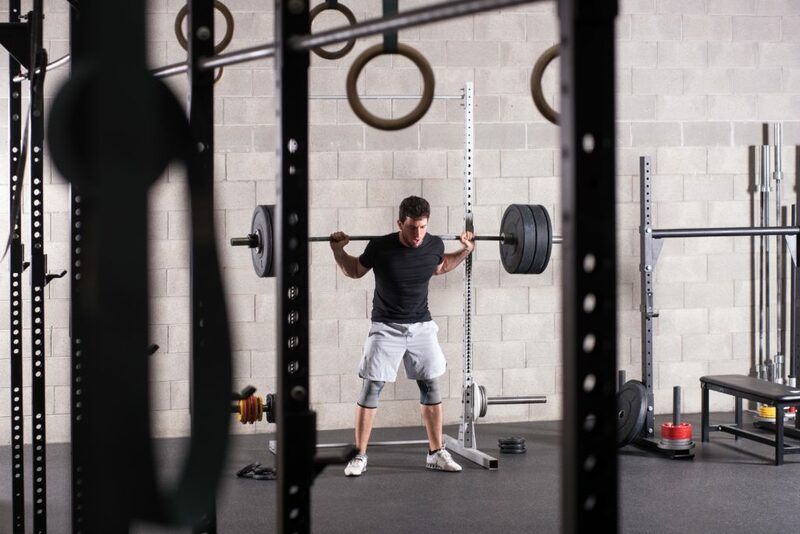 You do the lifting—not other objects helping you lift. It defeats the point! After spending a year or two of considera-ble squatting and achieving the 1.5x/2x body weight number, if you desire at that time to use knee sleeves for 2-4 weeks, go for it. See what you can achieve. After this time, deload, eat some delicious ice cream, and begin again squatting, this time with no knee sleeves! The post “Which Knee Sleeves Should I Buy?” appeared first on StrongFirst. Previous article7 tips to cultivate your creative brain.